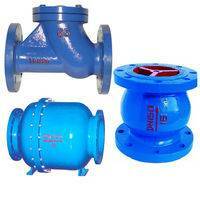 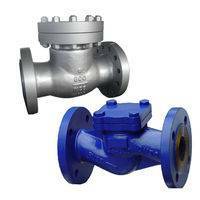 Swing check valve is one type for the check valves, the check valve have anther name is non-return valve,this swing check valve only can horizontal installation,the speed of the closing for swing check valve is very quickly , also the seal is very good,the highest pressure for swing check valve can up to 2500LB(PN420), the body of the check valve can choose forged material or choose cast steel,this valve is opened or closed by the valve disc to rotate around the spindle outside the seat of the valves; it is an automatic valve, working principle of this valves are automatically opened or closed by the force generated by the medium flowing within the pipeline. 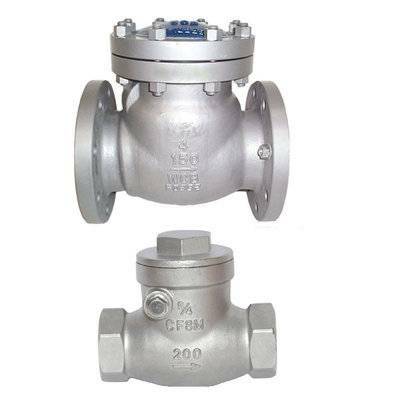 Its major function is to prevent the backflow of the medium in the pipeline, reverse rotation of the pump and its driving motor, and discharge of the medium in the container. 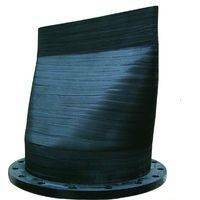 Temperature -29~425°C -29~550°C 46~350°C 40~550°C Suitable Temp.